Being a woman with leadership gifts has always made me stick out like a bit of a sore thumb in the local church. And here’s the truth: I don’t mind. By the grace of God, at several junctures along the way there have been men in positions of leadership who have cultivated my gifts and taught me how to better use them. As a complementarian woman who desires to use her leadership gifts in God-honoring ways, these leaders have been incredibly formative in my life. Over the years I’ve had the privilege of hearing from many women who are gifted to lead and who desire to use their gifts in the local church. I’ve quickly learned my experience is not always the case (nor has it been the case in every season of my life). At times, many of us have felt the opposite—ignored, dismissed, or, worse, like a threat to those they long to serve. Being both a complementarian and a woman gifted to lead can seem like a complicated combination in local church ministry. But several pastors have empowered me to lead while faithfully maintaining their complementarian convictions (after all, the two aren’t mutually exclusive). They’ve done this in three primary ways. 1. They have framed the conversation in the positive. I remember coaching myself on the way to the seminary cafeteria to meet with my new pastor about serving in the church: Remember, let him know you want to serve in the local church, but don’t be pushy about it. Ask questions, but don’t come across as too forward. He’s a complementarian; let him know right away you are, too. Having been misunderstood in similar conversations in the past, I was anxious for this one to be different. In his friendly and disarming way, pastor Tim asked about the cafeteria food and what brought me to seminary, about my spiritual gifts, and where I served in churches past. Taking a deep breath, I told him I felt gifted in leadership, and was eager to serve the local body. “Well, great!” he said in what I now know to be his familiar, jolly tone. “There are endless places for you to use your gifts in our body!” He went on for minutes, listing different ministries that I could get involved in, groups that needed help getting organized, and studies that needed group leaders. I left the meeting near tears. In the past, similar conversations had started by way of limitation. Tim could have easily responded to me by clarifying the church’s complementarian position. But he didn’t. He framed the conversation in the positive. He didn’t tell me where I couldn’t serve, but where I could; he didn’t tell me where the boundary lines were, but where there was freedom. If your church has all-male pastors and elders, the number of women wanting to serve as a pastor or elder are likely few. So unless a woman specifically requests to serve in a capacity that your local church has reserved for elders and pastors, go ahead and tell her where there is freedom. Most of us have heard about the boundary lines, but not necessarily about where our leadership gifts would be a blessing to the body. 2. They have acted like stewards. In Matthew 25 Jesus tells a parable about three servants entrusted with their master’s resources. When he returns, he asks them to give an account. The first two invested their resources wisely and maximized their potential, but the third buried his in the ground, fearing his master’s harshness. Pastors too are stewards of the resources God has entrusted to them. One such resource is the spiritual gifts of those in the local body. Pastor Tim knew he was a steward. He identified spiritual gifts in me, many I hadn’t yet identified in myself. He invested his energy, and increased my capacity for leadership among women. He invested his time, and multiplied my teaching abilities. He was a steward. I imagine it’s easy for pastors to fear that if they empower women in their congregations to lead, then things will quickly run amok. But while fear has a proper place before our Master, we must also positively and proactively steward what’s been entrusted to us. Providing training seminars for women, for example, can build up the body. And shepherding women’s gifts in this way helps protects the church from false teaching and practice. 3. They have believed complementarianism is pro-woman. God’s design for headship in the church and home isn’t just a command to be obeyed; it is an expression of God’s best for his people. Yet too often the way we approach the complementarian conversation with women in our churches undermines this truth. Starting from either an apologetic or a defensive posture exposes our lack of trust that God’s Word is God’s best for his daughters (and his sons). As those who believe God has designed men and women equally in his image and made us equally vital to his kingdom work, we believe complementarianism is fundamentally pro-woman. God loves women, and his design for headship in the home and in the church expresses his love. So it’s my prayer that every pastor will be included in stories like the one I shared. Stories told by women of how they were encouraged and enabled, equipped and empowered, trained and sharped by men who valued their leadership gifts in the church even as they valued their complementarian position. 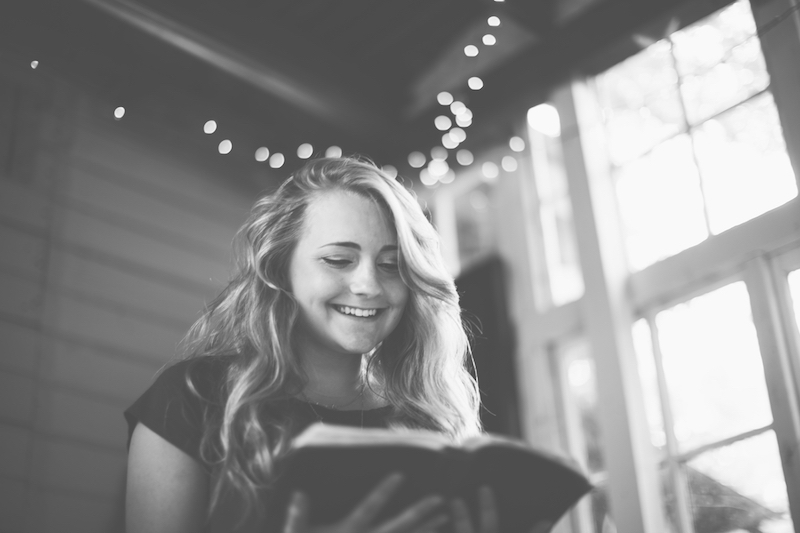 Amy Gannett is a writer and Bible teacher passionate about equipping women to study and teach the Bible. She is also the founder of Tiny Theologians, a line of discipleship tools for children. Amy and her husband, Austin, are church planters in Eastern North Carolina. You can read more from her on her blog and follow her on Twitter.